We know all students have their own individual strengths and challenges. As educators, our goal is to help our students achieve success. Unfortunately, our district is failing two unique student populations that have been historically underserved: students with special needs and English language learners. For decades, our education system has perpetuated achievement gaps that prohibit our most vulnerable students from reaching their potential. 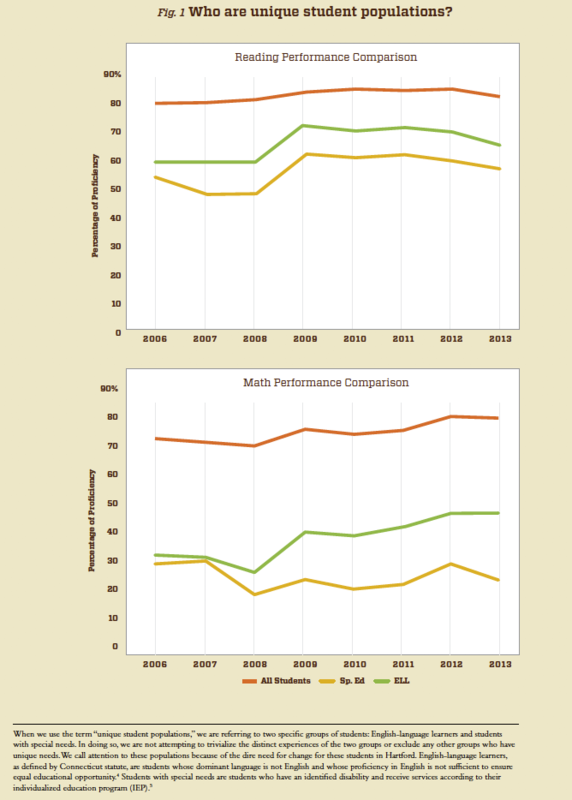 The performance of unique student populations in reading and math points to the need for change. Currently in Hartford Public Schools, efforts to individualize learning for unique student populations focus on accommodations, or providing students with the tools they need to work within the existing curriculum and education structure. 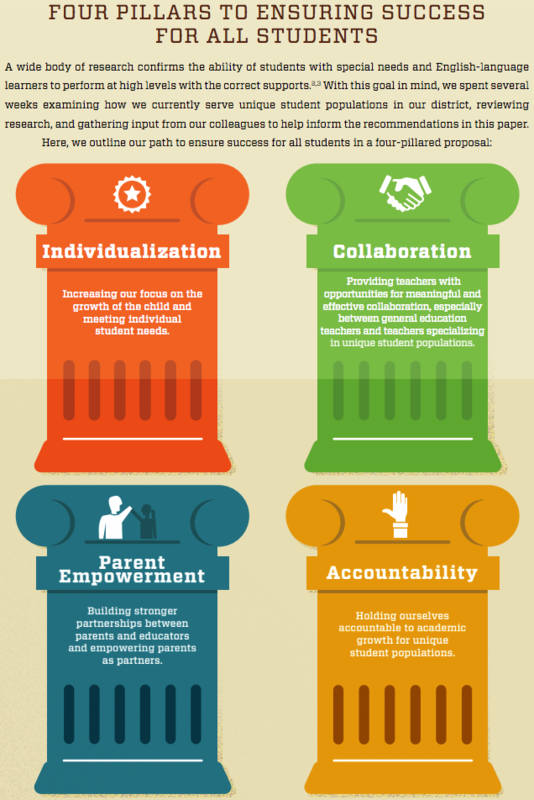 We believe the district should further its efforts by adopting student-centered approaches to learning. This will help teachers ensure that students are placed on their individualized paths toward success because they allow for a higher degree of specialized instruction and also offer instruction through multiple learning styles for greater access to content. In addition, we believe Student Support Plans (SSPs) can be improved to fully live up to their potential in addressing unique student needs. And, while teacher development time is built into our district’s union contract, we have not yet used this time effectively to promote meaningful teacher collaboration, especially among general educators and teachers who specialize in unique student populations. Increase our focus on the growth of the child and meeting individual student needs. Provide teachers with opportunities for meaningful and effective collaboration, especially between general education teachers and teachers specializing in unique student populations. Enact co-teaching pilots to drive positive student outcomes through better instructional practices. Build stronger partnerships between parents and educators and empowering parents as partners. Hold ourselves accountable to academic growth for unique student populations. We are a diverse group of 11 Hartford teachers who met for six weeks to review research on school climate and discipline. To develop our policy recommendations, we conducted interviews, held focus groups and surveyed our colleagues. In total, we gathered feedback from over 200 educators. High School English Teacher at High School Inc.